I enjoyed Sunbolt thoroughly - it's a fast-paced novella about Hitomi, a street girl with a secret and a lot of trouble heading her way, and when I saw Intisar was releasing a sequel, Memories of Ash, I grabbed the opportunity to ask her a few questions about the world of Sunbolt, and her plans for the story's future. So for fans of Intisar, and those hearing of her for the first time, here's a little background to a grand new world (and scroll all the way to the end of the post to enter a giveaway that includes a couple of my books!). 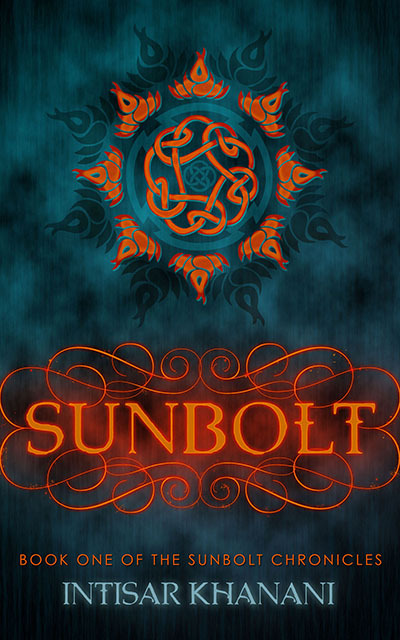 Q: In Sunbolt you use elements that readers currently associate with paranormal/urban fantasy (vampires, weres) in a secondary world – but, of course, they have a long tradition in high fantasy as well. Do you think there's more scope these days to do interesting things with well-known creatures in secondary worlds? A: Absolutely. I think the advent of indie publishing has meant a freedom for authors try new things in a way that traditional publishing wouldn't have approved of--if for no other reason than that it would make it difficult to decide which shelf to put the book on. I think there's scope both for trying new things with well-known creatures in secondary worlds, and for bringing in cultures and their mythos and legends that have been traditionally ignored. For example, in Sunbolt, both Hitomi and Kenta are from a culture that is built around historic Japanese culture. Further, Kenta is a tanuki--a raccoon dog known as both a trickster and a drunk in Japanese folk lore. As Hitomi continues to travel through the Eleven Kingdoms, she will meet with other cultures reminiscent of real-world historical cultures, as well as their attendant fantastical creatures. The danger with this kind of approach, of course, is cherry-picking cultures for exotic elements. We see that happening in more than a few mainstream fantasy novels that claim the "diversity" label. It's unfortunate, because a culture is more than just a pair of chopsticks, or some unusual architecture, or a few key dishes--or that really cool fantasy creature. For example, jinn seem to be quite the thing nowadays, especially among authors who haven't researched them past the obvious. I find it incredibly frustrating as someone who grew up with stories of jinn and have lived in cultures that maintain a strong tradition of believing in--and even interacting with--jinn. So while there is definitely more scope for incorporating fantastical creatures in all different walks of fantasy, I do believe there's a responsibility on the part of the author to not only do their research, but to incorporate the diverse cultures they are drawing on as fully as possible in their works. Q: Hitomi starts off her adventure as the classic streetwise orphan – but with established connections to the city's underworld. Do you prefer your protagonists to have a strong social network, or face new beginnings with new people? It really depends on the story and the character. In my novel, Thorn, the heroine is not only leaving everything she knows for a new land, but her identity is forcibly stolen from her along the way. She ends up without connections or support beyond a single, magical creature who witnessed the switch. Being on her own, and responsible for choosing her own fate, are critical in Thorn's development over the course of the story. So I guess I've already written both ends of the spectrum! I do really enjoy pulling characters out of their comfort zones and throwing them at a completely new situation. Even in Sunbolt, Hitomi is quickly pulled out of her social network to face some unpleasant situations on her own. Q: Hitomi obviously has quite an adventure still ahead of her. Do you have plans for other stories within Hitomi's world, or do you like to create a new world for new stories? I really don't know... I love Hitomi's world, and have put a good deal of time and research into building it. I suspect I'll want to place other stories there, though I sincerely doubt there would be any overlap in timelines. But I haven't decided yet--I'm still just trying to get Hitomi's story down! Thank you, Intisar, for the interview, and best of luck with the new release! See below for details of Intisar's books, and to enter in a giveaway for a selection of SFF books - and a Kindle Fire. Fantasy lovers, this one's for you! Love magic, look no further! And you definitely need to check out the awesome giveaway found below. In the year since she cast her sunbolt, Hitomi has recovered only a handful of memories. But the truths of the past have a tendency to come calling, and an isolated mountain fastness can offer only so much shelter. When the High Council of Mages summons Brigit Stormwind to stand trial for treason, Hitomi knows her mentor won’t return—not with Arch Mage Blackflame behind the charges. Armed only with her magic and her wits, Hitomi vows to free her mentor from unjust imprisonment. She must traverse spell-cursed lands and barren deserts, facing powerful ancient enchantments and navigating bitter enmities, as she races to reach the High Council. There, she reunites with old friends, planning a rescue equal parts magic and trickery. If she succeeds, Hitomi will be hunted the rest of her life. If she fails, she’ll face the ultimate punishment: enslavement to the High Council, her magic slowly drained until she dies. The winding streets and narrow alleys of Karolene hide many secrets, and Hitomi is one of them. Orphaned at a young age, Hitomi has learned to hide her magical aptitude and who her parents really were. Most of all, she must conceal her role in the Shadow League, an underground movement working to undermine the powerful and corrupt Arch Mage Wilhelm Blackflame. When the League gets word that Blackflame intends to detain—and execute—a leading political family, Hitomi volunteers to help the family escape. But there are more secrets at play than Hitomi’s, and much worse fates than execution. When Hitomi finds herself captured along with her charges, it will take everything she can summon to escape with her life. 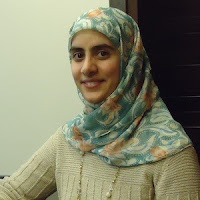 Intisar Khanani grew up a nomad and world traveler. Born in Wisconsin, she has lived in five different states as well as in Jeddah on the coast of the Red Sea. She first remembers seeing snow on a wintry street in Zurich, Switzerland, and vaguely recollects having breakfast with the orangutans at the Singapore Zoo when she was five. She currently resides in Cincinnati, Ohio, with her husband and two young daughters. Until recently, Intisar wrote grants and developed projects to address community health with the Cincinnati Health Department, which was as close as she could get to saving the world. Now she focuses her time on her two passions: raising her family and writing fantasy. Intisar's current projects include a companion trilogy to Thorn, following the heroine introduced in her free short story The Bone Knife, and The Sunbolt Chronicles, an epic series following a street thief with a propensity to play hero when people need saving, and her nemesis, a dark mage intent on taking over the Eleven Kingdoms. I would love to enter the giveaway but I don't follow Twitter. I will paste a link to this interview on my WordPress blog, but don't know that it qualifies. I found you through Sarah Wynde's blog and have subscribed to your blog. Thanks! Wow, prize kindle is fab. & splendid. 2 fingers snap. It is tight, fly & off the chain. Thank you for the awesomeness, the contest, and generosity. :) Pick me, pick me! Dear Santa: I’ve been nice. My X-Mas wish this year is to win this contest. Starving artist here desperately needs the kindle to work and eat. A life changing exp.